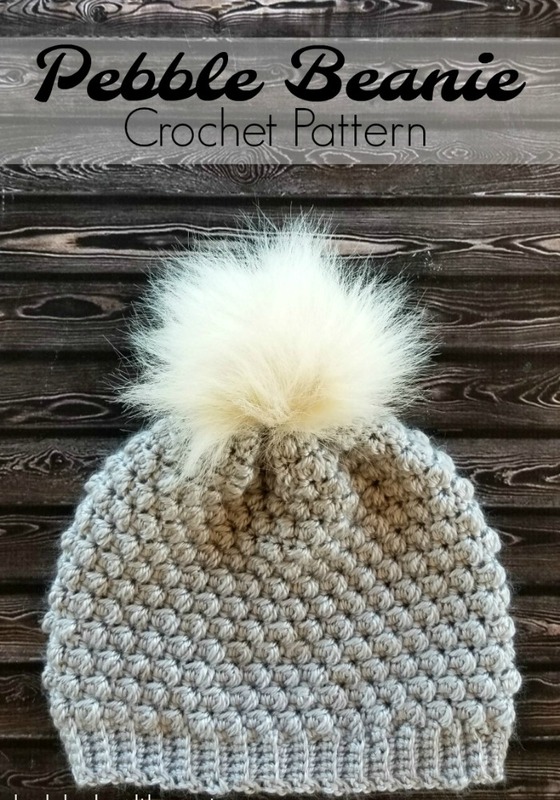 I recently discovered the Pebble Stitch and I fell in love with it and had to make the Pebble Beanie Crochet Pattern right away! 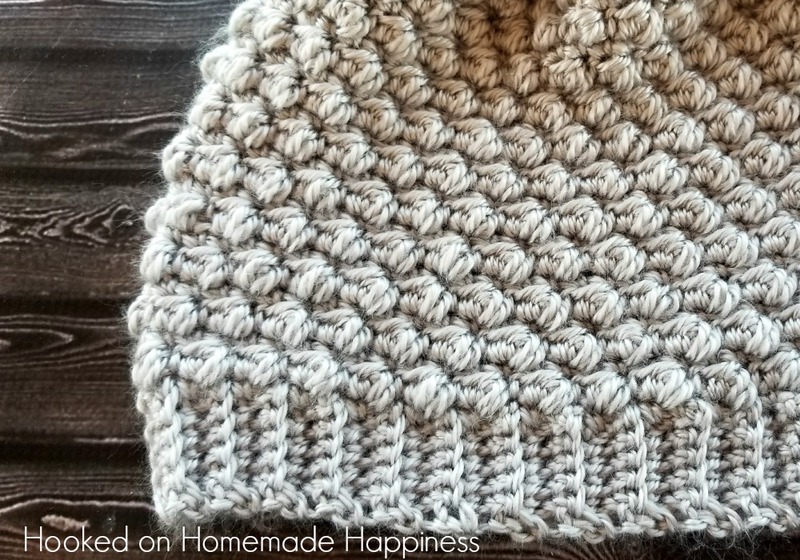 It’s beautifully textured and is so easy to create with a simple 4 row repeat. 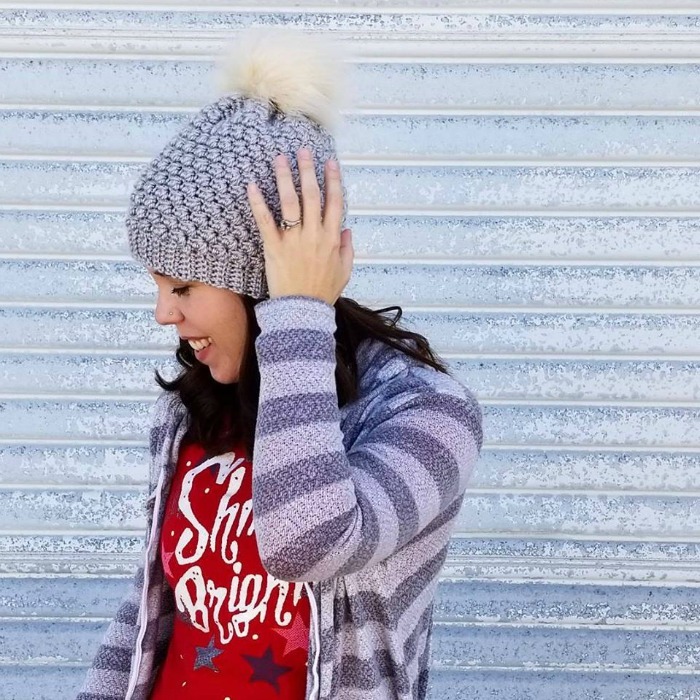 Plus, the pom pom is everything! I purchased mine from The Turtle Trunk on Etsy. 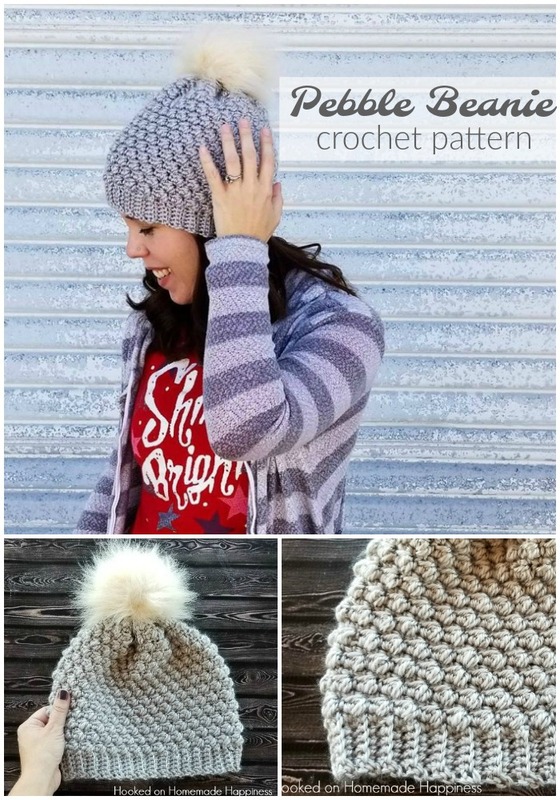 I also have a messy bun version of this beanie HERE. 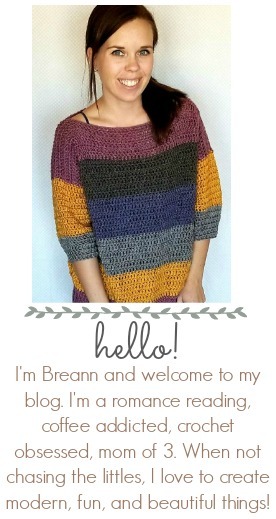 Do you have a video of how to crochet the Pebble Beanie crochet pattern. I learn best by watching someone else make the stitches. No video tutorial right now. Could you do a video tutorial on this please? Thanks for the pattern! 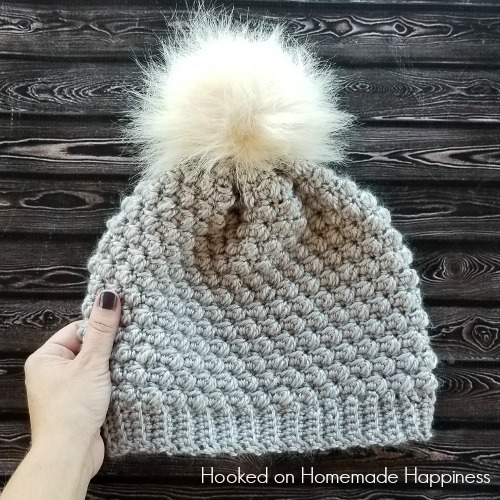 How do you make the Pom Pom? What size is the pom pom that you used? What size of pompom did u use?